A traditional contract between a band or solo artist and a record label is an interacting mesh of rights and obligations borne by both parties. No prizes for guessing which party carries the most obligations and which leads the field in having rights. That said, each party agrees to honour their respective roles in the deal. To pay for the costs (via a recoupable advance) including studio costs, instrument costs, the producer, the session musicians and singers. To receive royalty accounting but only where the money is directly and identifiably attributable to their work. To collect royalties, account and pay royalties to the artist but only where the money is able to be matched directly and identifiably with the artist’s work. A performer is supplying services not delivering a copyright. If however, they have independently paid all the costs of production themselves and therefore own the recording’s copyright, they can grant a short term licence to a label in exchange for the label’s manufacture, distribution and promotion services. The label’s function is to fund, manufacture, distribute, promote and protect the copyright sound recording that results from the artist delivering their services as a recording artist. Unless the contract specifically says otherwise the label will own the copyright in the recording, usually for the life of copyright (ie in many countries this is 70 years from publication). In industry folklore this is the metaphorical equivalent of the bank giving you a mortgage to buy a house, but when you pay off the mortgage the bank keeps the deeds and ownership of your house. The funding aspect has two elements. It is made up of a non-returnable advance payment and second recoupable element which is the cost of making the recording (ie studio costs, the fee for session musicians, the fee for the producer and engineer, instrument and equipment hire etc). The artist must recoup these two cost elements from income generated by exploitation. The key point to remember is that the income used for recoupment is the artist’s royalty percentage not gross revenue from the exploitation of the recording. So if the artist is on a 15% royalty then that 15% (after adjustments – see below) is the source of recoupment monies. The royalty percentage is calculated by a “base price” which will be defined in the contract. It might be the wholesale price, or less commonly the retail price; but both prices will be subject to deductions before the final “base price” is arrived at. Common deductions are taxes, costs of physical packaging including the costs of the artwork – and these deductions will be percentages varying from 15% to 30% in some cases. As a result an artist might end up with a base price that has been chiselled by as much as 35% or 40% from the original wholesale price, once the total deductions have been made. Each use of the recordings will carry a specified royalty. So, for example while a sales royalty may mean a 17% royalty (after deductions) the royalty will halve if a track is included on a compilation album. If a track is used in a film or TV programme, or in an advertisement, it is usual for 50% to be paid to the artist (subject always to recoupment progress). The studio producer (most famous exemplars of this key production role being Quincy Jones, Jeff Lynne, Dr Dre, the late, great Sir George Martin, the currently incarcerated Phil Spector and Mutt Lange) is paid a fee (which is a recording cost) and a royalty percentage. So, if an artist’s royalty is stated as 25% and the producer royalty is 3%, this leaves the artists with 22% from which to recoup the advances (personal and recording). 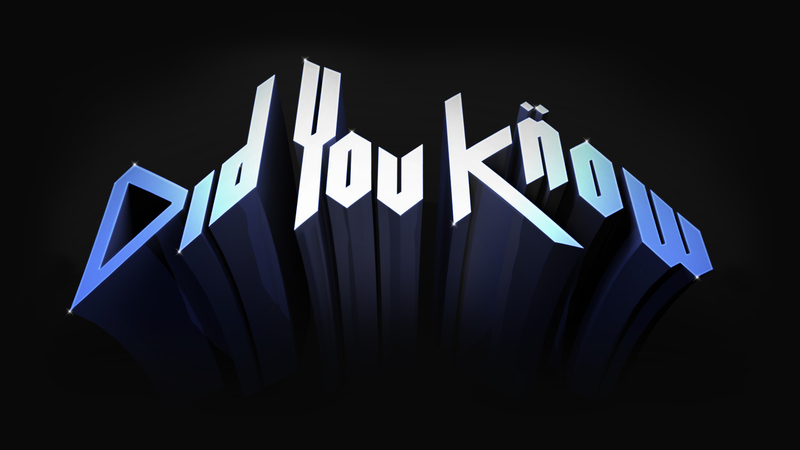 Some producers will negotiate their royalty from the very first record shifted (known in the trade as “record one”). The effect of this is that the artist’s recoupment account goes further and further into the red via the payment to the producer from the moment the record goes on sale. When a label is signing an artist to a multi-album deal, the contract will be framed as a series of options. Each option is for a defined period of time in which the artist is obliged to record, deliver and promote an album. A multi-album contract might contain three or four option periods. An option period is something of a moveable feast. It might be defined as a specific period of time in the contract but will be extended where an artist delivers the album late, for example. Once the first option period has passed, the label gives the artist formal notice and exercises its option to call for a second (or the third or fourth) album if it wants to continue the relationship. The exercise of an option will trigger a second (or third or fourth) advance for the artists and to pay for recordings. There is an absolutely genius mechanism (genius, from the label’s perspective, that is) behind this option/advance principle. Because it can take up to three years for foreign revenues to make their slothful way back to the country where the deal was originally made, an artist’s recoupment account may be unrecouped as far as actual money received by the label is concerned. But so-called “pipeline income” may be of sufficient value that it causes recoupment and is about to be paid to the artist as a cash royalty. However, once the option is exercised and the second (or third or fourth) advance is paid, no cash royalties are then due because the artist’s recoupment account has gone back into the red – ie unrecouped. In effect the label lends the artist their own pipeline income as an advance and then requires the artists to recoup it from sales from the next album. See what we mean? Genius! The contract might require an artist to make a video – and carry 50% (usually) of the costs of its production. This cost is added to the recoupment account along with any other monies the artist might request such as so-called “tour support” to help fund a live tour, or “loans” for other purposes that the artist might request. An artist may have certain conditional rights over the use of their recordings in film or tv, or in advertising for products or services, or over the choice of their producer. The strength of this control (ie the amount of genuine control the artist has) can vary from mere consultation to actual prior approval and will depend on their status, or negotiating power. With the arrival of online delivery, and the accompanying plummet in income from sales of physical copies, many labels introduced what were called “360 deals” which meant that the label (ie the record company with a recording contract – the clue as to their role being in the name!) acquired a contractual entitlement to revenue from all an artists’ activities – live shows, merchandise and sponsorship and maybe even song publishing. The labels also exchanged shares in some online music delivery services, which will mean quite a windfall for the labels (only) in the case of a services’ IPO or other flotation such as that recently launched by Spotify. See also What Digital Did. International law recognised performers’ (and labels’) ongoing interest in the use of the recordings aside from the sales of physical copies. 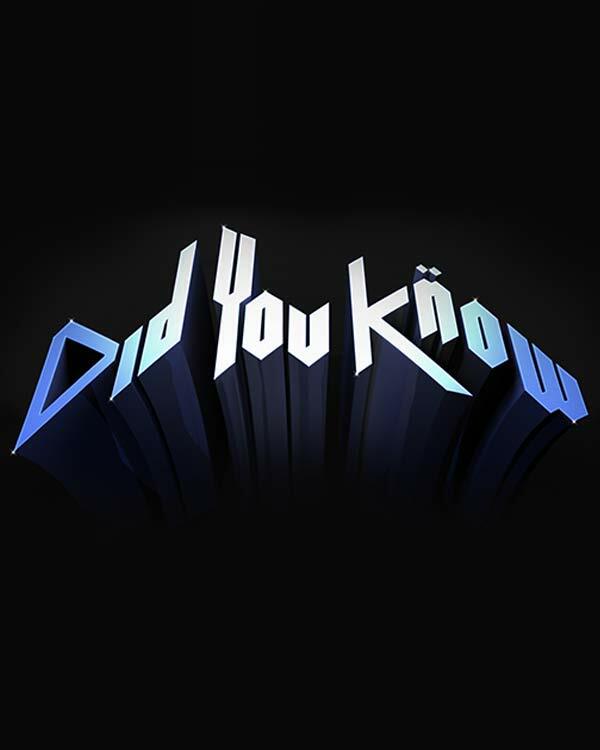 While songwriters had long received royalties when their songs are broadcast or publicly performed, traditionally there was no equivalent for performers (or the copyright sound recording). So, in the period before WWII the International Labour Organisation lobbied hard for an ongoing right for performers that mirrored the royalty entitlement position of songwriters and composers. On reconvening after the interruption of war (during which time there had been the invention of magnetic tape) the performers were joined around the table by the broadcasters and record labels (via IFPI). The resulting international treaty (Rome Convention) was signed in 1961 and provided for a payment called “equitable remuneration” that was to be paid anytime that a commercial sound recording was broadcast or publicly performed (now called “communicated to the public”). The Convention allowed the payment to be paid to the label or the performer or both. The right upon which this revenue entitlement sits is known as a “neighbouring right”. The money is customarily allocated 50/50 – though in a few countries the performers get a larger share. Not all signatory countries implemented the Convention domestically in terms that gave performers a statutory right. Until a 1996 EU Directive the UK only gave performers an ex gratia payment. In contrast Continental European countries largely gave all performers a statutory right to the money. As the USA has not signed the Rome Convention US performers do not have a right to be paid this kind of revenue at all (except where their performances are delivered by non-interactive online radio – paid via Sound Exchange). One point to note: in most Rome Convention countries, the labels and the performers operate two joined CMOs together to negotiate and collect fees from the users of the music. However, when the UK implemented the EU law that obliged the UK government to give performers the right by statute, the performers were only given the right to claim this money from the labels! At a stroke of the legislators’ pens, the UK performer was reduced to supplicant (again) and had to apply via a CMO which is wholly owned by labels. So, while there are performer board members on the CMO (called PPL, Phonographic performance Ltd) the 50/50 allocation is calculated and paid under the direction of the powerful corporate right owners. And, as mentioned in Shocking Facts, the 50/50 allocation of neighbouring right revenues (equitable remuneration) is not applied to streaming revenues. The right of “making available” is legally a sub-set of the communication to the public right (which attracts equitable remuneration). But the labels in their wisdom did not mandate the UK CMO to collect streaming fees. The labels license their catalogues to the streaming services but treat the licence income as a sale when it comes to paying the talent. A recording artist’s contract may identify a sales royalty of 15% or much, much less for heritage artists. This sales percentage will be applied to, for example, Spotify revenues and in some instances, after the label has deducted costs such as packaging – in line with the definition of the royalty base price! Put bluntly, rights out from a label are for a licence, money out from a label is for a sale. So, in a blinding double standard, while 50% of the money is shared with UK performers from insignificant streaming services because they are licensed by the CMO, all the big streaming companies pay the labels direct and the labels give a much smaller slice to the talent. The deals are all subject to tight non-disclosure agreements, so an artist manager has very little ability to determine the terms on which their client’s rights have been granted and for how much. “I experienced an occasion where a label has asserted that they are not aware of the receipt of lump sum monies from licensees and has insisted that I, as auditor, identify a particular example of such a lump sum before they can comment. However, I am not able to obtain this information as the licensees have signed NDAs. In the case of other types of lump sums received by labels, such as settlements with copyrights infringers or audio and video public performance income, I am sometimes told that it is not possible to share this income with artists as there is no way of breaking the income down by recording. But the systems are NOT incapable of allocating the money. The [CMOs] and other rights organisations can allocate blanket licence fee money to individual songwriters. Data is always available which can be used to make a reasonable allocation. The most recent IFPI report on the music industry can be found here in the Library as well as an essay about music artists who control their recordings and publishing and use aggregators to get their product distributed – both digitally and in some cases, physically. Also the Library contains an article about song writing contracts, the latest figures from CMO regulatory body CISAC which show the health of music authors’ collections worldwide and a host of other industry-related articles. For more useful information about US practices in music rights licensing try Steve Gordon’s book The Future of the Music Business (4th Ed., published by Hal Leonard). For practices in play elsewhere there are many books on the market.